Home internet Tricks How to manage a multilingual Facebook page? 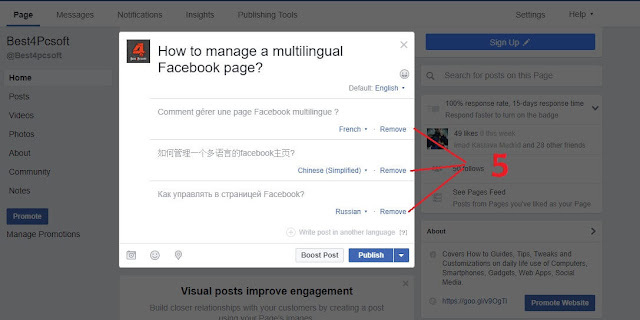 How to manage a multilingual Facebook page? Do you hesitate between Manage a Facebook page in English or French? 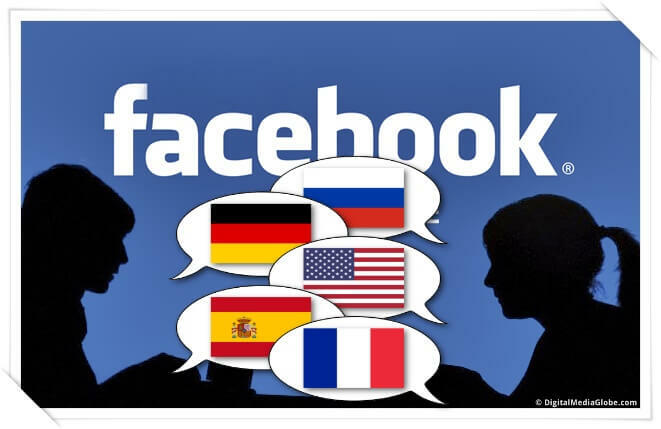 And if the choice was not to make it.Indeed, Facebook offers a feature allowing any user to post messages, photos or even videos in multiple languages. A function that is hardly known and yet extremely practical, especially for corporate or intentional pages that are constantly connected with English-speaking countries. So how do you enable this feature? How do I post bilingual messages? Answers to which we reply in this tutorial! 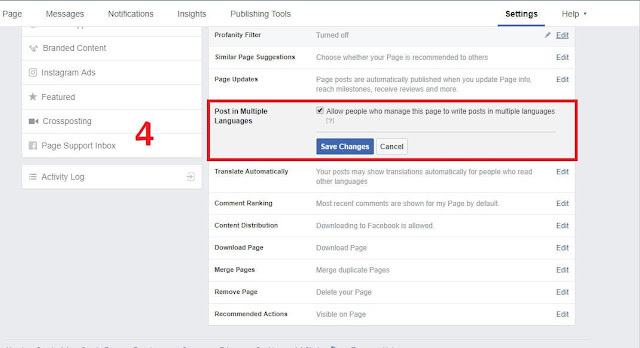 To activate the bilingual Facebook option just log in to your account or Page and go to the settings . Then click Edit to activate the "Post in Multiple-languages" option. Check the box on the screen before clicking Save Changes. Read also : How to remove multiple friends at once on Facebook in just a few clicks! functionality now is activated, you can now write your statutes in several and thus communicate with the whole world. Now that the option is enabled to you to write. Go to your personal page and click in the publication window. Then click "+ Write the publication in another language" and select the language of your choice from the drop-down menu. Read also : 10 good reasons to leave Facebook account? Note: This option is not limited to two languages ​​but gives you the option to choose as many as you want. Your only limitation being your knowledge in foreign languages. 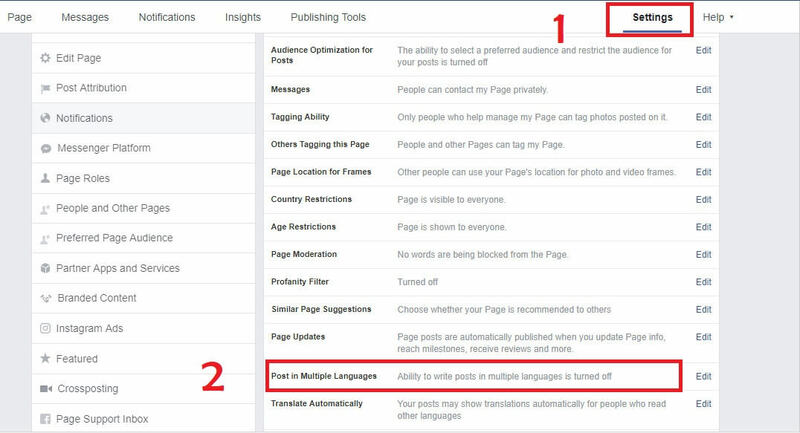 Write your post in each language and click Publish . This will appear on your page. Simply click on the small arrow next to the message to read it in the language of his choice. Really very simple!